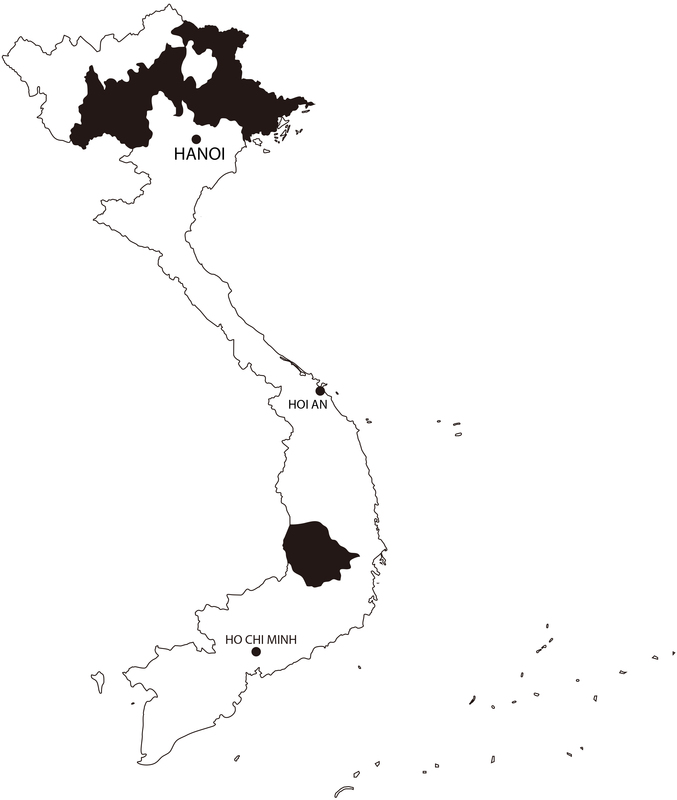 I found the Cao Lan, in November 2017, while on an expedition in the mountainous province of Yen Bai, in northeast Vietnam. 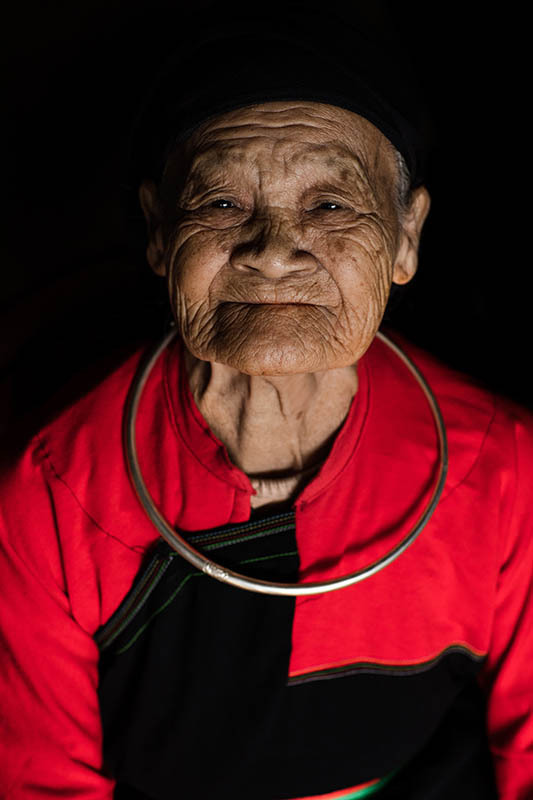 On the way, I stumbled across the chief of Tan Huong Village. Lý Tiến Sinh, 85, has been chief for more than 20 years and can read, speak and write in nôm, the Sino-Vietnamese calligraphy which prevailed until the introduction of the Latin alphabet. After exploring his incredible collection of manuscripts together, he offered me a poem, an ode to love, confirming the romantic reputation of the Cao Lan. Their poetry and folk songs – chanted during the competition of sinh ca – is the pride of the Cao Lan and has been recognized as intangible cultural heritage of the nation. The woman in the portrait, his wife, also 85, was extremely kind. She is wearing the post-war costume. The original indigo colour has been replaced with red and black. It is adorned with simple silver jewellery. Although less sophisticated than that of their neighbours, it remains nonetheless elegant with its detailed, colourful collar. Today, it is only worn for special occasions and the turban has completely disappeared. 13-year-old Nguyen Thi Hong Nhung, is a proud representative of the Cao Lan culture, perpetuating their chants and poems in their original dialect that she learnt from her grandmother. She represents hope that their culture will live on through future generations.